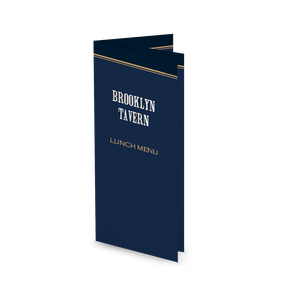 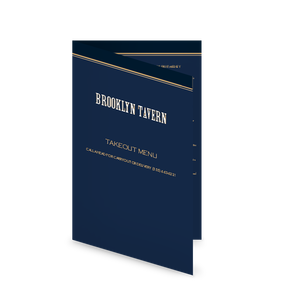 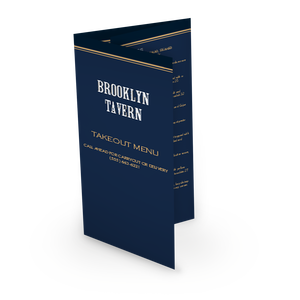 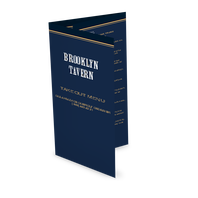 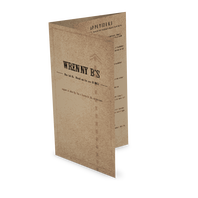 A Brooklyn Tavern Takeout Menu is a letter-size menu template. 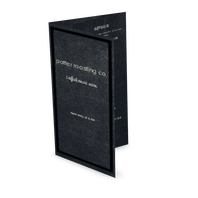 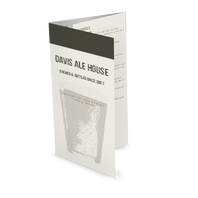 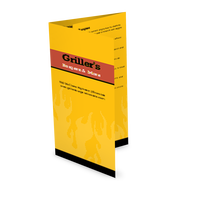 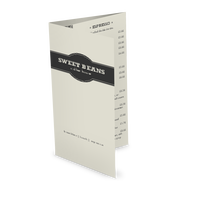 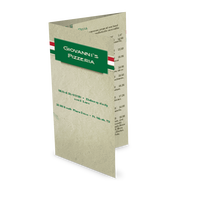 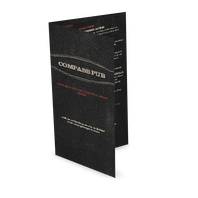 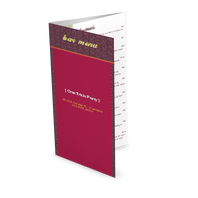 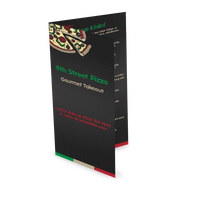 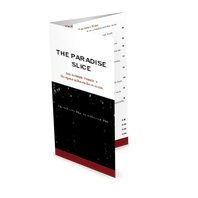 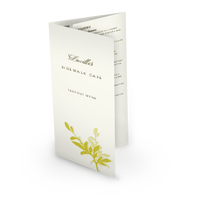 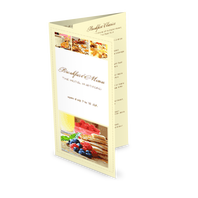 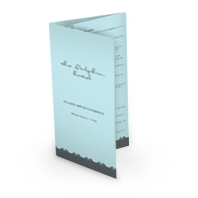 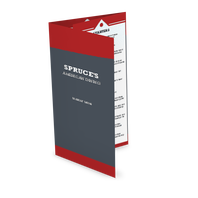 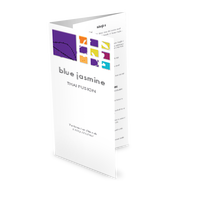 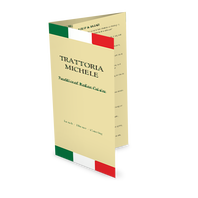 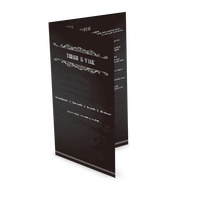 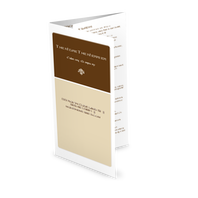 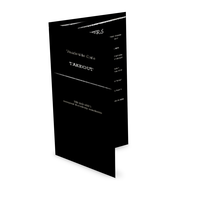 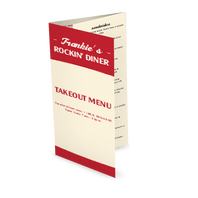 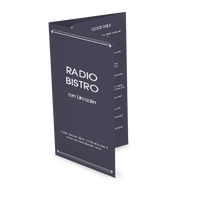 Printed front and back to showcase all your carryout options, this trifold creates an easy piece for your customers to take home. 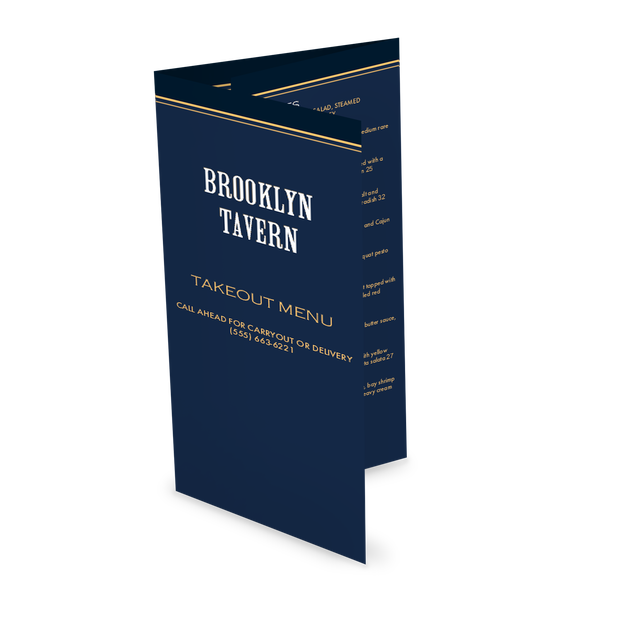 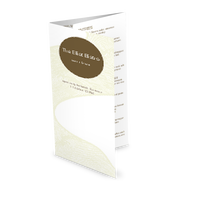 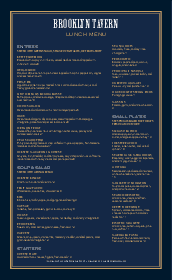 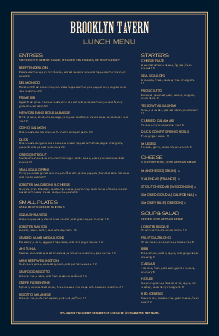 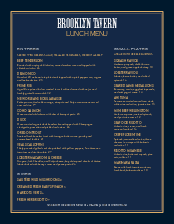 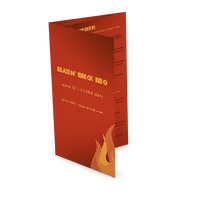 Create your own takeout menu with this bold design in rich navy and gold.